I love pens, all kinds of pens, and it's safe to say I may have a slight problem. 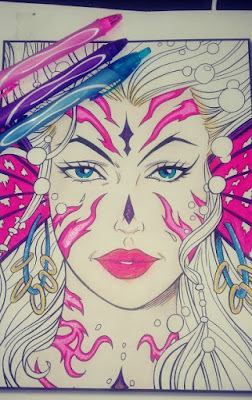 Yes, I love pens, but gel pens hold a special place in my heart. I've bought so many sets, different brands, different prices, I love them all! 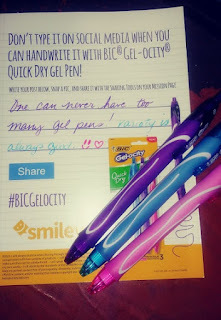 So when I got the chance to try out BIC's Gel-ocity pens I was more than happy to. There were three colors that came in the set that I got to try out for free: pink, purple, and blue. I'm glad the sent colors that were a bit out of the norm because it's more fun using them. The pink was more of a hot pink, leading to a red. The purple was very dark, leaned real close to black. It was just a bit too dark for me. The blue was a turquoise color; not very dark. All the ink in the pens came out super saturated, no skipping, and it dried pretty quickly. If you run your hand across it right after writing you may get it smudge. I found it hard to get it to smudge though because it does dry quickly.You can refill these pens, but I didn't see refills for these colors. The grips are a bit hard, but not uncomfortable at all. I have smaller hands and find pens with larger grips to be hard to hold. The retractable part of the pen works great, no issues with that. I did try using them for my adult coloring books and they do work great, but not very good at layering. Because they don't really smudge I can't blend very well, but that's okay. I still think you can use them for coloring, if you enjoy using pens to color. 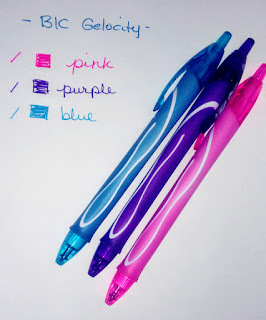 Overall, they're great pens that I'll use over and over again. The ink writes so smoothly, it's just amazing. I know I'll have to fight the kids to keep them from leaving with them to school. Disclaimer: I did receive a three pack of BIC Gelocity pens for free in return for my honest review. If you are like me then you have no idea what probiotics are or their benefits. I have a bit of a phobia when it comes to taking any pills or supplements. I tend to think that if they aren't prescribed by a doctor then they won't be that great for me. So when I was sent a complementary full sized sample by Smiley360 and Sundown Naturals I wasn't sure if it was something I would be able to take. 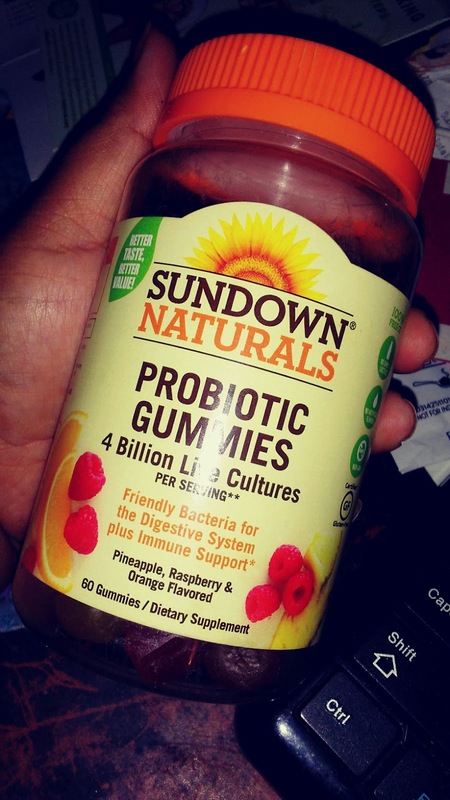 Before taking them I did my research and looked into exactly what probiotics actually are. There are two types of probiotics: lactobacillus and bifidobacterium. They both help move food through your gut, but researchers are still trying to figure out which are best for certain health problems. As with any other supplements it's best to ask your doctor about what is best for you. There are some mild side effects like upset stomach, diarrhea, gas, and bloating when you first start taking them. So I started taking the recommended dosage on a Monday - which is two gummies. I took them first thing in the morning with my breakfast. Later that day I did experience some stomach pain. It wasn't too bad though, not where it was completely uncomfortable. The next day came around and I took 2 gummies again with my breakfast. I still had stomach pain, but gas and bloating were added to the mix. It was starting to get a bit uncomfortable though and I didn't like it. I still continued though because it was only day 2. By day 4 it was pretty unbearable and I was done with the pain and discomfort. I did ask if anyone else had had the same issues and some friends said I should cut the dosage to 1 and see how it goes. Since then I have been taking 1 gummy a day and it has definitely helped. I used to have some issues after eating meat, it normally would stop me up. 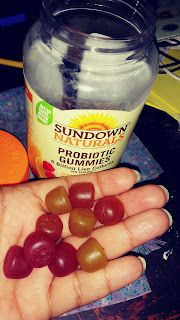 Since taking Sundown Naturals Probiotic gummies though, I'm not having that issue. I am going regularly with no issues in bowel movements at all. I know that's a little tmi, but it's what you need to hear. If you're having issues with going regularly, then I would definitely try using probiotics yourself. While results may vary, there definitely isn't harm in trying them out. Since I have been using Sundown Naturals I will recommend them, but you could try out any brand and see what works for yourself. Disclaimer: I was given a full size bottle to try out courtesy of Smiley360 and Sundown Naturals. All opinions are my own. I got a great opportunity to work with a fantastic company called, nuNaat. They make wonderful hair care products for an inexpensive price. I worked with them once before with their Brazilian Hair Care Set. It was wonderful and I still buy the hair mask till this day because it leaves my hair so soft and shiny. I was a bit surprised when they told me the new hair care set was made using garlic. Yea that smelly delicious stuff you use for cooking was being used for shampoo, conditioner, hair mask, and a leave in treatment. As much as I was a little worried about the smell, I was super excited to try it out. It couldn't possibly be that bad if its by nuNaat. So I got my package, really fast by the way, and took the four different bottles out. Like I mentioned before they were shampoo, conditioner, a leave in treatment, and hair mask. The first thing I did was open them up so I could smell what they smelled like. I opened up the shampoo first and took a whiff and...it smelled great! It had a very light floral soap scent. It was thick and creamy and with two quarter sized dollops it was enough to clean my hair. It lathered up well enough, but not a lot. It isn't like regular shampoos that lather up a lot, its "cleaner". I don't find a problem with this, although it does mean I have to use slightly more to coat all of my hair. The conditioner has less of a floral scent, it actually doesn't have much of a scent at all. It too is thick and creamy and I had to use two dollops to cover my entire head as well. It washed off easily and I could feel the difference in my hair after using it. I didn't use the hair mask the first time because I used the regular conditioner. I did use the leave in treatment, but I believe I put too much. I can honestly say I wasn't sure how much I was supposed to put and ended up putting too much because it was left with a lot of residue. The next time I used it, I used much less and it came out fine. It left my hair super soft even after I straightened it with my flat iron. A few days later I did try out the mask and wow it left my hair so full, shiny, and soft. 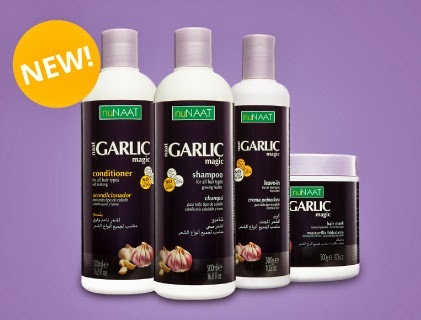 I have another hair mask that I loved, but I have found myself reaching for nuNaat's garlic hair mask. So the main reason for me trying it out is because of my main issue...dry scalp. Yup I have dry, flaky, itchy scalp that always seems to get worse on days I wear black clothes. Garlic shampoo is great for people whose hair is thinning out. As we get older some of us tend to start losing our hair. Garlic helps to prrvent hair loss by acting as a stimulant for growth in cells. It helps to make your scalp healthy and aid against dry and itchy scalp. It helps to prevent breakage so yay, no more split ends. Also if you have issues with frizzy hair..well guess what it fixes that too! I had never heard of garlic shampoo, but I'm so glad that I got to try it out. Since using it my hair is much softer, shinier, and more importantly no itchy dry scalp. Nothing more embarrassing that huge flakey dandruff all over your shoulders. So if you are experiencing any of these issues then you should definitely try out NuNaat's new Garlic Hair Care Products. They're all pretty affordable and you can purchase them online and in stores. So I've had Prego Alfredo sauce before, but to be honest it wasn't always my favorite. While it was good I always reached or the more inexpensive brand that was just as good, but certainly not better. 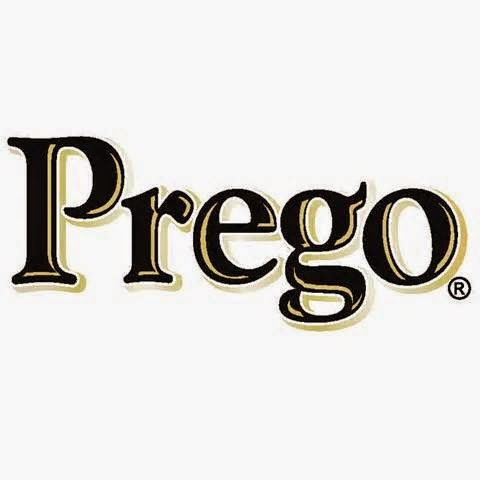 Well I was able to try Prego's Light Alfredo through Crowdtap and loved it. Sadly though when I went to go find it again in my store...there wasn't any. Apparently stores don't carry it and when trying to search for it online, nothing comes up! Okay Prego, why you holding out on us? Give us the tasty Light Homestyle Alfredo sauce please. So since I wasn't able to find the light variety I just got regular Homestyle Alfredo. It still had the same thick, creamy, not too salty flavor as the light version. So of course I like things simple and easy so I went for some Shrimp Alfredo! So I grabbed my shrimp, a little unsalted butter, and some peppercorn and started cooking. I cooked the shrimp till they were almost done and added the alfredo sauce. I let it continue cooking making sure not to overcook the shrimp. No one needs rubbery overcooked shrimp in their life...no one. Before I even started to cook the shrimp though, I took some Barilla thin spaghetti and started boiling it. I like my noodles to be a little chewy, how about you? 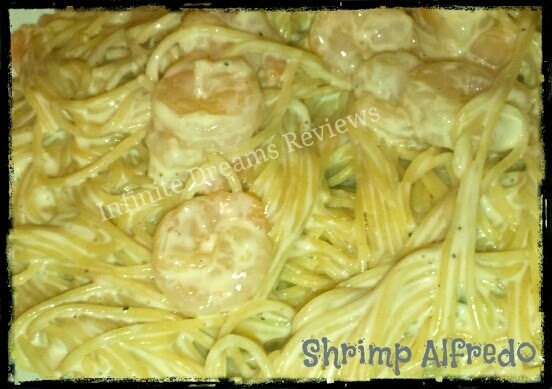 After making sure the noodles were just right, for me anyway, I drained them and dumped them in the pan with the shrimp and alfredo sauce. 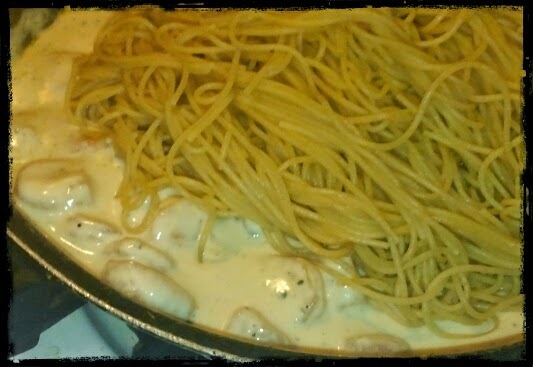 I made sure to coat the noodles so that they would all have sauce...sauceless noodles = no bueno! So obviously the final verdict was delicious! Seriously I think I'll spend the extra cash to get the Prego sauce because it's really good. It has the right flavor, the right consistency, and I don't feel too guilty about eating it. It isn't overloaded with salt so it makes a great dinner for me and the family. So if you're ever out at the store and see some Prego Alfredo Sauces grab them up! They also work really well for some homemade mac and cheese. Check out the recipe below which serves 10, obviously I did mention I've got a large family which means lots of servings! You can fix it to fit your family by halfing the recipe, etc. It's super tasty and actually really easy. Feel free to use reduced fat cheeses and skim milk, you won't be able to tell the difference. Preheat oven to 350 degrees F (175 degrees C). Spray a 9x13 baking dish or pan with cooking spray. Bring a large pot of water to a boil; stir 1 teaspoon salt and vegetable oil into boiling water. Gradually stir macaroni into the boiling water and cook, stirring occasionally, until macaroni are tender but still slightly firm, about 10 minutes. Drain well and pour macaroni into prepared baking dish. Pour Alfredo sauce into a 3-quart microwave-safe bowl and stir processed cheese into sauce; microwave on 60 percent power for 6 minutes. Stir sauce mixture and microwave for 5 more minutes on 60 percent power. Season with black pepper and paprika. Stir 1/2 cup shredded sharp Cheddar cheese into mixture until cheese has melted and sauce is thick and smooth. 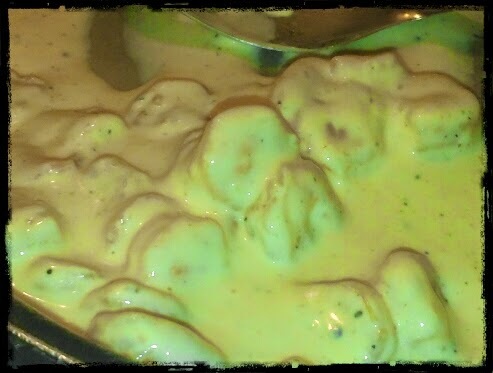 Pour half the cheese sauce over macaroni and stir to coat; pour in remaining cheese mixture and stir again. Spread remaining shredded sharp Cheddar cheese over macaroni. Bake in the preheated oven until the casserole is bubbling, 30 to 40 mins. Let macaroni and cheese stand for 10 minutes before serving. 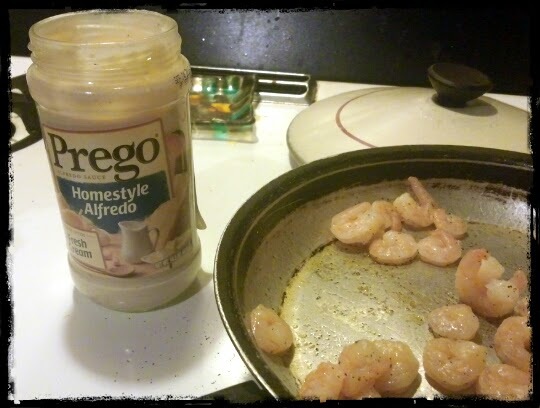 Disclaimer: I originally tried Prego Light Alfredo through Crowdtap, this review is on regular Homestyle Alfredo. All opinions are my own and no compensation was received for this review. 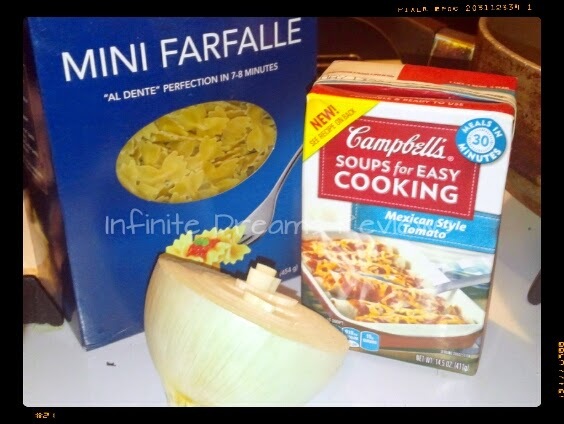 I tried out the Campbell's Soups For Easy Cooking "Mexican Style Tomato" and it was really great. I honestly didn't think it would taste as good as it did because sometimes big companies don't get Mexican or Hispanic flavors right. Things could sometimes end up tasting generic and just doesn't hit the spot. Well I was pleasantly surprised because the soup or sauce came out great. So the soup actually doesn't really seem like a soup to me. I really see it as a flavored tomato sauce that can be used in different recipes. I don't think I could really see myself eating this as a soup. Maybe you would, but I just don't see it...now as a soup base, yes. Anyway, its got a really great flavor to it and thankfully wasn't that salty. I've been cutting down on my salt intake and now whenever I do eat things that are a bit saltier, it's totally unbearable. It tastes like I'm drinking sea water, it just assaults my taste buds. So I was looking for something simple and easy to cook because now that summer weather has hit South Texas I do not want to spend too much time roasting away...I mean cooking in the kitchen. 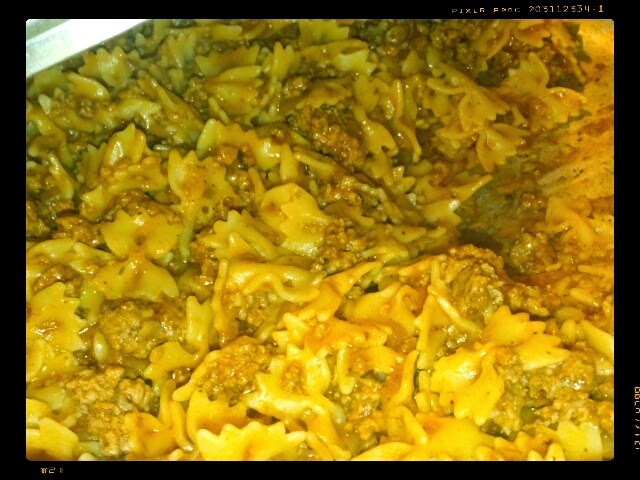 So I went online to Campbell's Kitchen and found a recipe for "Easy Beef Taco Skillet". I didn't want to put tortillas into my recipe though because it just seemed too heavy, not too mention they add more salt to the recipe. I'm always changing up recipes and making them my own, cooking should reflect your wants and needs and in this moment I don't need tortillas. I did keep the cheese in the recipe though because...who doesn't love cheese!? Cook the beef and onion in a 10-inch skillet over medium-high heat until well browned, stirring often to separate meat. Pour off any fat. Stir the soup and tortillas in the skillet and heat to a boil. Reduce the heat to low. Cook for 5 minutes. 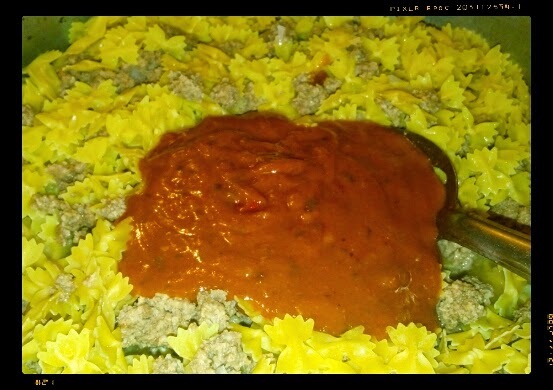 Stir the beef mixture. Top with the cheese. The kids really enjoyed this and honestly I wasn't totally sure they would. They can be extremely picky when it comes to certain foods. The whole, "I don't know what that is, but I know I don't like it" routine. Well they loved it and asked for more, thankfully this was more than enough to feed my extremely large famil. I'd definitely recommend trying them out, especially the Mexican Style Tomato, it is great with enchiladas too! So I recently found about my sensitivity to gluten as I've gotten older and the years have passed. I always just assumed that I had eaten too fast or too much and that that stuffed feeling would eventually go away. Well it didn't go away, but got worse as I've aged' I didn't know what gluten was and why it was bad for me. I grabbed whatever I could read and honestly was saddened. I felt like I wouldn't be able to enjoy anything tasty like cakes, cupcakes, and breads. Throw out all the cookies and cereals as they're no longer an option for me. Thankfully that's not true and I can enjoy some goodies and regular food with just little tweaks here and there. Gluten free just isn't about being wheat free, it needs to be low in carbs as well. Carbs come from many things including sugar. Now everyone needs a certain amount of carbs, but too much is not always a good thing. So I like that by using Splenda sugar I'm not adding more carbs into my diet. Splenda is basically sucralose and has no known side-effects so you get a real sugar taste without all the calories or carbs. 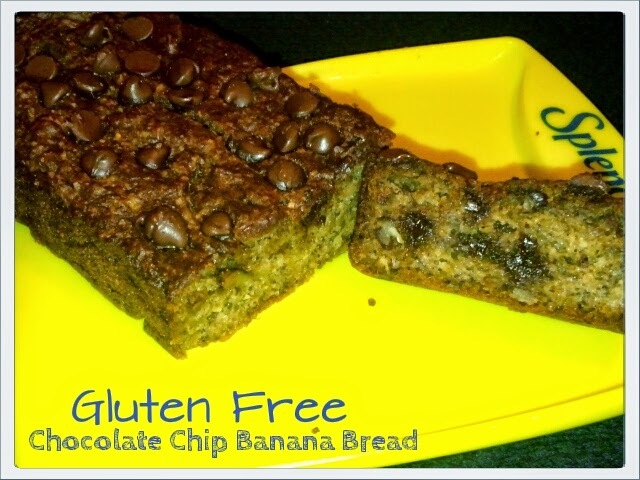 For my gluten free recipes I chose a couple that I knew would be easy to recreate. I'm not an expert cook or baker, so easy and simple is a plus for me. The first thing I decided to make was banana bread! Banana bread is something that I've made from scratch many times before, but using regular flour which now is not possible. So I took a recipe for all purpose gluten flour from Wheat Belly that included almond flour, coconut flour, and golden flaxseed. I had to totally wing it with everything else, but one thing I did do was substitute regular sugar with Splenda's Baking Blend. I don't normally cook with "fake" sugars because they have that gross fake sugar taste. You don't get that with Splenda at all. I would share the recipe but honestly there isn't one. I totally winged it and it came out awesome, the best thing is no weird sugar aftertaste! The second thing I made was breakfast cheesecake, umm yes! I think the second time around I'll definitely make the strawberry glaze the cookbook mentioned because it just wasn't sweet enough for my liking. It still tasted great and the kids were like, "Can we have this for breakfast all the time?" 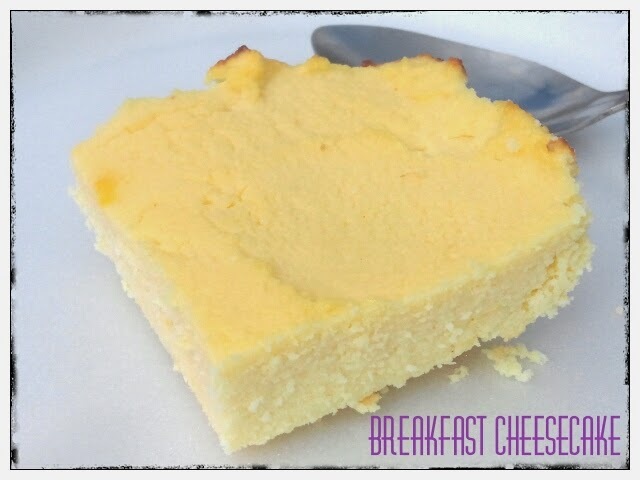 Obviously not, but it's such a great weekend breakfast treat and so easy to make. It doesn't take long at all, only 30 minutes from start to finish. I did make little mistakes here and there while making it though, like I forgot to whip the ricotta cheese mixture before adding the egg whites. But that's what learning is all about, trial and error and finding out what works best for you. 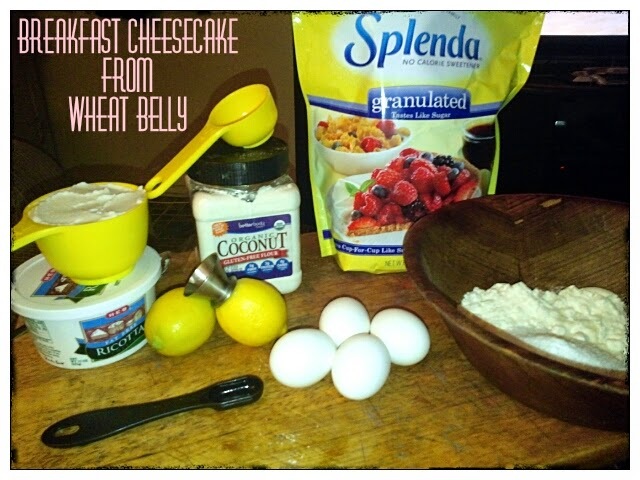 Splenda worked perfect in this recipe and again no gross weird after taste that comes with some sugar substitutes. Now one thing I can say is don't get too close when you're measuring Splenda for a recipe because a puff of Splenda dust wafted up and surprised me a bit. Or maybe that's just something I was lucky enough to experience. 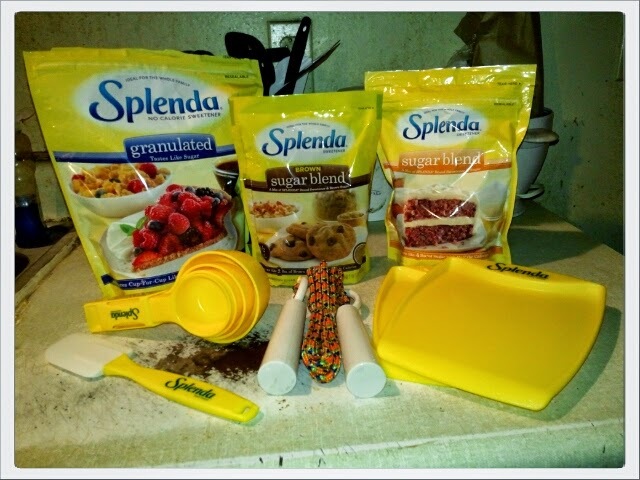 I'm so glad that Crowdtap and Splenda gave me a chance to try out these Splenda sugars. 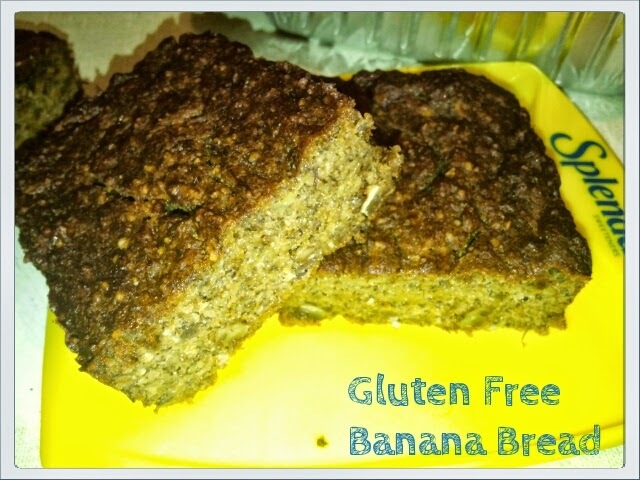 While the breakfast cheesecake was just for my family, I did go and make more banana bread to share with my family. My younger brother also has intestinal issues and has to be very careful with what he eats. So he definitely enjoyed all the sweets that I made. I haven't gotten a chance to try out the Splenda brown sugar, but I will be using it for some gluten free chocolate chip cookies real soon. I love the caramel taste that I get from brown sugar. Here's a simple smoothie recipe you can make using Splenda sugar, strawberries, banana, and some kefir. Of course you could use anything else if you don't like kefir, but its super healthy for you. Splenda sugar to taste - this is totally optional, but I do add a little just to add some sweetness if my strawberries are more tart than sweet. Stick it all in a blender until smooth and enjoy a nice healthy drink for breakfast - or any part of the day. Disclaimer: I received all three Splenda products for the sole purpose of trying it in my own home in return for an honest review. All opinions are my own and no further compensation was given. program. 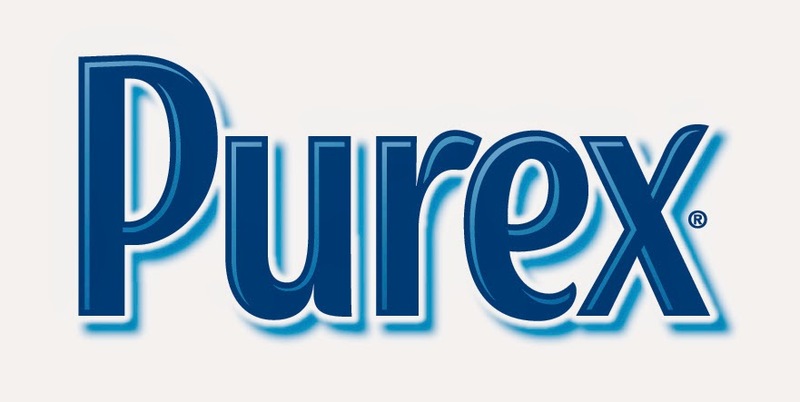 I already love and use Purex so I knew the quality was going to be there. Once I got the box I proceeded to teat that sucker open! I looked at the bottle and thought, huh this looks a little weird. I was a little bit skeptic that it would actually work and that more detergent wouldn't be able to be poured out; man was I surprised! I tilted the bottle over because tearing off the plastic seal and looked at the detergent fill into this little "bowl" and it stayed there. Huh, well time to put it to real work! 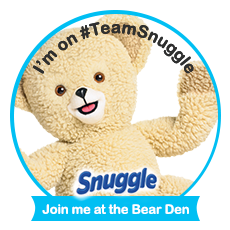 Now I have 4 very messy active kids so I need something that is going to get there clothes clean and leave them smelling great. 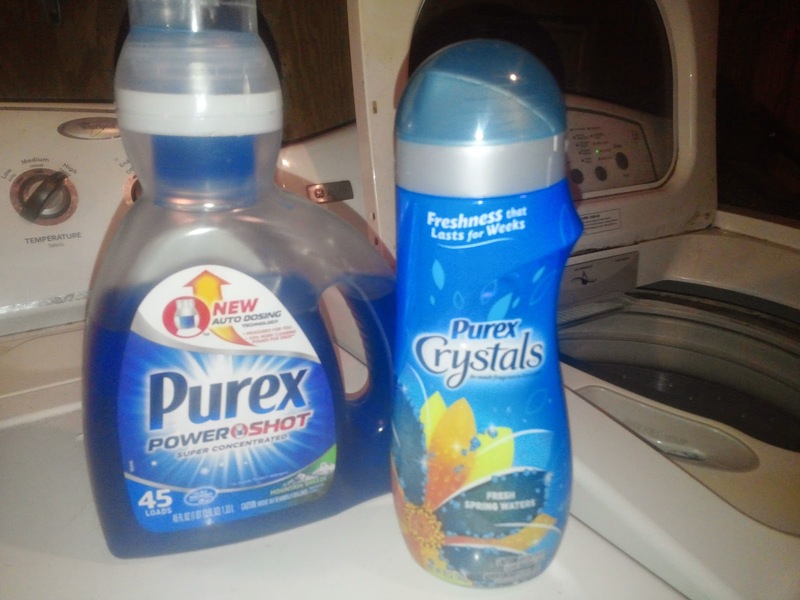 Purex PowerShot is concentrated so you don't have to use a lot in order to get the same results as other laundry detergents. The scent I got to try was Mountain Breeze which has just a hint of floral, but a lot of a clean crisp scent. Now that the kids are teenagers and can start washing clothes themselves, I've handed the torch - or laundry detergent over to them. They're good about sorting their clothes, making sure not to overload the washer, but they over pour! I found if I let them pour their own laundry detergent then the bottle that should last for 35 loads ends up lasting for like 20. They think they need to fill up the laundry detergent cap completely. It seems that they're hard of hearing because no matter how many times I explain that they don't need a lot, they still overpour. Well thankfully the new PowerShot does it all for them! All they have to do is open it up and flip it to start pouring, and then it stops! Seriously its measured out in the perfect sized dose for child and adult alike. 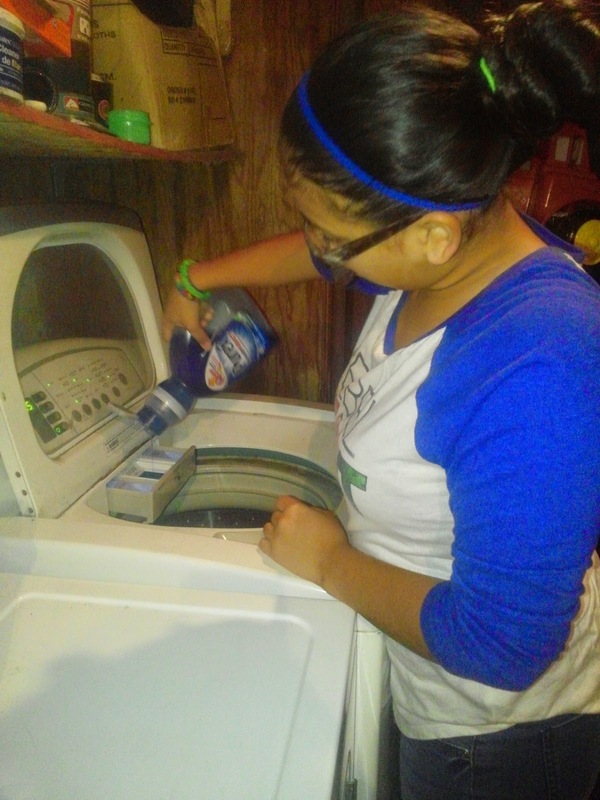 No more wasting laundry detergent thinking you need a whole lot to clean a load. It really does work too, even though I was skeptic, it totally worked! Now I can be at ease when the kids do their laundry because I know they won't be wasting any of it. Not only do they not waste the laundry detergent, but it saves me money in the long run. 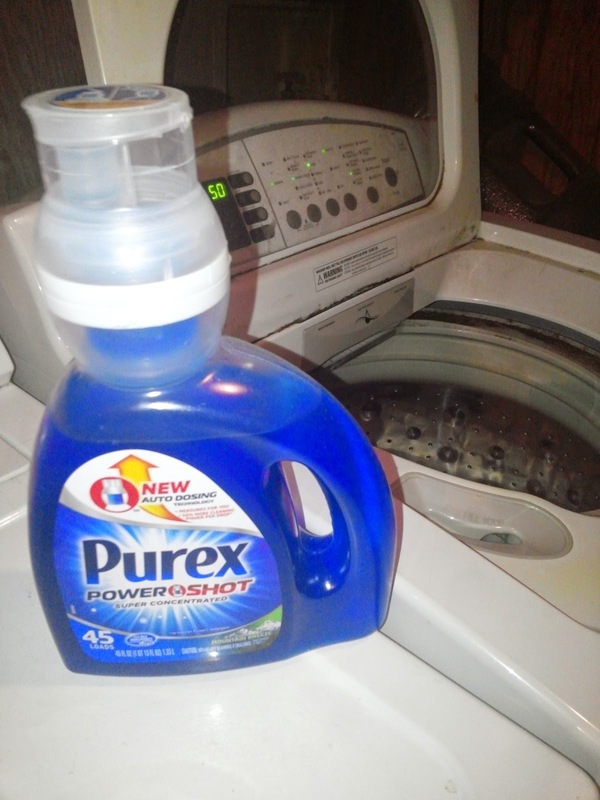 The Purex PowerShot isn't available just yet so you need to keep an eye out for it in stores. It's really great for those with teenagers or absent minded hubbies/partners that go a little detergent crazy. The PowerShot will be offered in two scents: Mountain Breeze and Linen & Lillies. I can't really mention price, but because Purex is so affordable I can't see this costing an arm and a leg. It will come in three different sizes: 35oz, 45oz, and 90oz. If you have a heavily soiled load then using two "doses" is recommended. 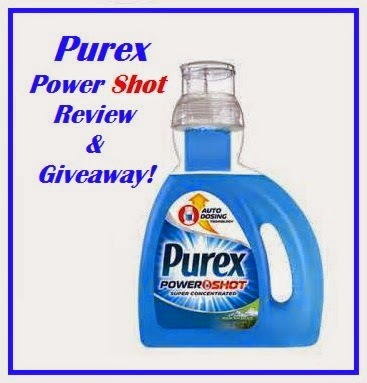 As for my giveaway I will be giving two lucky winners a chance to win a coupon for their own FREE bottle of Purex PowerShot for when it hits the store shelves. The coupon is good until 12/31/2015 so you have a ton of time to find it in a store near you. Just enter into the rafflecopter below and you could be a lucky winner of a new awesome product! Disclaimer: I received this free product and coupons for the sole purpose of trying it out in my home. All opinions are my own and no further compensation was received.